AC Milan vs Empoli predictions ahead of this Serie A clash on Friday night. Will the Rossoneri secure all three points in this encounter? Read on for our match preview and free betting tips. Can AC Milan take this chance to strengthen their top-four hopes on Friday night? They host Empoli in the opening game of the weekend, which could see them take a four-point lead over their rivals in the fight for the Champions League. 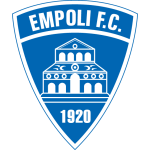 However, Empoli come here with ambitions of their own, they’re out to secure another season in the top flight. They moved out of the bottom three last weekend, so how will they fare after coming off a crucial win? Milan had a crucial win of their own last weekend, as they saw off Atalanta 3-1 in a tough away trip. Winning at the fifth-placed side gave them a great boost in their search for Champions League football. 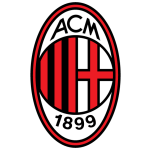 It could yet turn out that under fire manager Gennaro Gattuso will end the campaign having won the Coppa Italia while returning the Rossoneri to the biggest stage of all. That could easily transform the club’s fortunes and his career, as Milan will get one of the biggest cuts of the TV money after controversial changes made by UEFA. That’s a world away from the Azzurri’s fight, which took a turn last time out. A 3-0 win over Sassuolo helped their chances of staying in the division. However, Empoli have collected all of their Serie A wins at the Castellani this campaign: they are one of the five teams among the Top-5 European Leagues yet to win a single away game this season. To make matters worse, their four away draws have come at bottom seven sides, losing all seven trips to sides above them. Both AC Milan and Empoli have scored in the last eight Serie A clashes between the two sides: 27 goals in total (3.4 per game on average). That high scoring record should continue in this one. Empoli have seen over 2.5 goals in 73% of their away trips. Meanwhile, Milan have won all of their bottom half clashes at home, with over 2.5 goals scored in each of them. That has us backing a home win and over 2.5 goals, along with a 2-1 success for the Rossoneri. AC Milan striker Krzysztof Piatek scored his very first Serie A goal against Empoli on August 26th, for Genoa. That started a whirlwind rise for the forward, who went from unknown Genoa addition to Milan’s £35million forward. That huge leap hasn’t stopped him, as he’s now scored six times in his last four for his new side. With two goals in that vital win over Atalanta, he’s providing in key moments. Going up against one of the league’s worst defences should see him add to his bright start. We’re going with Piatek to score anytime in this clash. AC Milan haven’t conceded more than one goal in their last 12 Serie A games, losing just one game in the process (W5 D6). AC Milan have scored three goals in each of their last two league games. AC Milan are one of the two sides to have gained the most points from losing situations in Serie A this season (13, level with Juventus) – on the other hand, no team has lost more points than Empoli from leading positions (18). Piatek has found the net in each of his first three starts with AC Milan: the last player to have scored in each of his first four top-flight starts with the Rossoneri was Oliver Bierhoff (September-October 1998). Empoli’s Diego Farias found the back of the net last time out against Sassuolo: the last time he scored in back to back Serie A appearances came back in May 2017.